In my last post, "Dark Florals for Autumn at H&M", I wrote about my dark floral print blouse and mentioned that I would be looking for a little black skirt to wear with it. 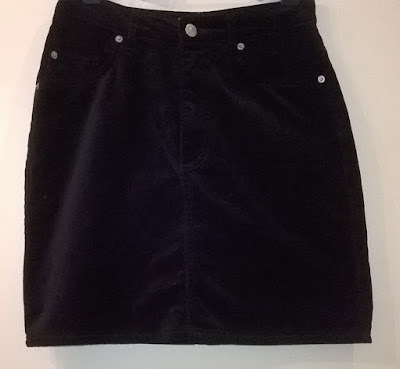 I have now found the perfect little black skirt at H&M. 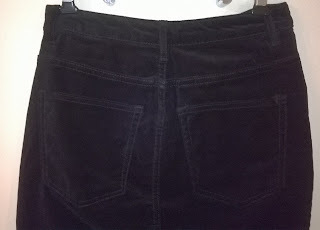 Made in black velvet, it is in a "jeans style". 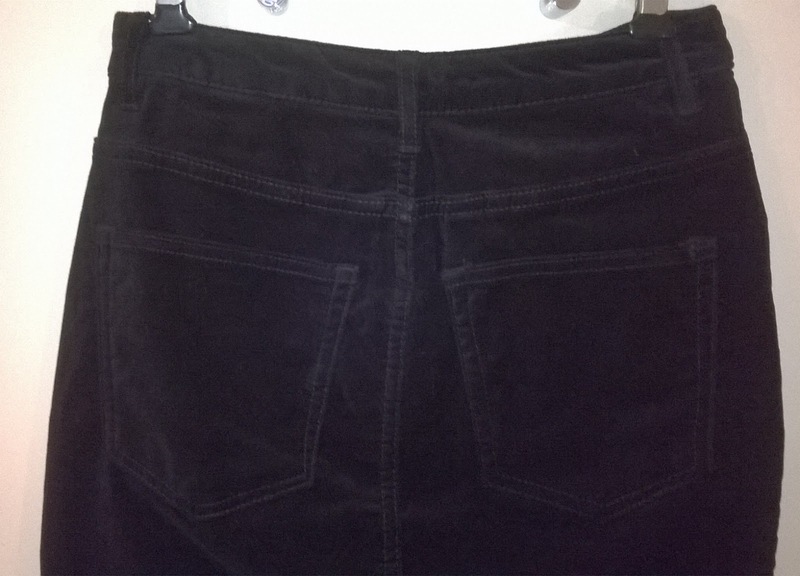 There are studded front pockets, 2 back pockets and belt loops at the waistline. This is going to be such a very useful little skirt for all occasions, to wear with many different tops or just a plain black jumper. I was even able to take advantage of one of H&M's promotional discounts. It's worth joining the H&M Club too, earn points as you buy that lead to reward discounts. All good stuff in current economic circumstances! Now I need the black suede boots!! !